We looked at the top 1 Epilators and dug through the reviews from 4 of the most popular review sites including Epilator Girl, Beautishe, Moo Review and more. Through this analysis, we've determined the best Epilator you should buy. 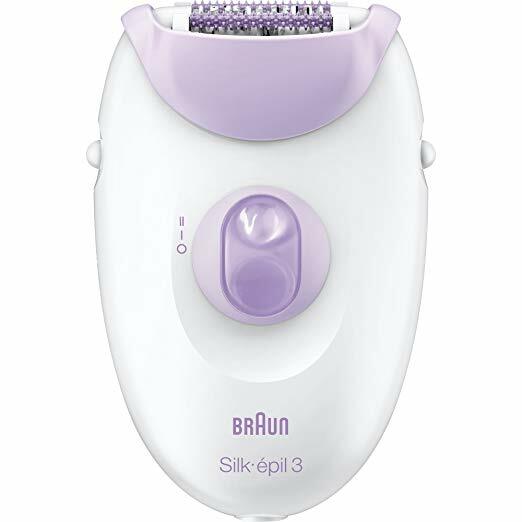 In our analysis of 41 expert reviews, the Braun Braun Silk-épil 3 Women's Epilator placed 7th when we looked at the top 10 products in the category. For the full ranking, see below. It’s also a cheap epilator that does a good job at removing hairs from the root, offering as a result smooth skin for at least two weeks. Massage rollers to eliminate irritation. Braun calls this the SmartLight. With the power turned on the light will illuminate the area of skin directly in front of the epilator head. The light helps to highlight those fine blonde hairs that are otherwise easily missed when epilating. The SmartLight is a handy feature. Some hairs are going to be cut at the surface of the skin, instead of being removed from the root. Braun Silk Epil 3170 is not going to do that frequently. It mostly happens with thinner hairs. Corded - restricted to using near a mains electric socket. The wide opening of the epilator made it difficult to be precise. Unfortunately this made it unsuitable to be used as a facial epilator. Testers who attempted to remove light chin and upper lip hair found it to be a lesson in frustration.